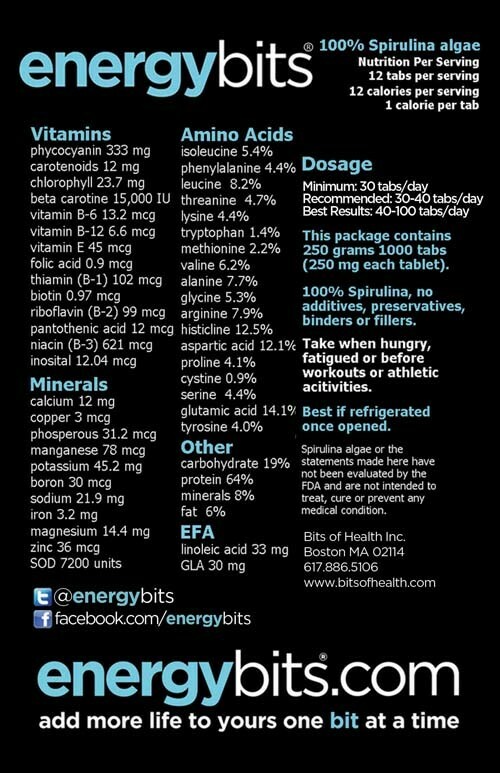 About six weeks ago I read a blog post from Forks to Feet about ENERGYbits. 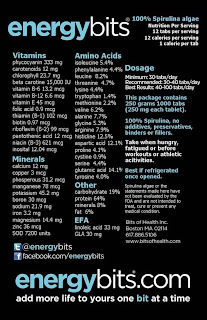 ENERGYbits is a product designed for athletes to provide a plant based energy source. They are 100% spirulina, which is pretty much the #1 superfood on my list. 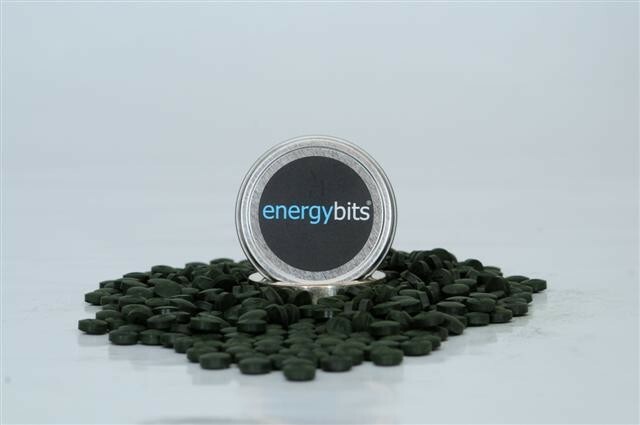 I began following @energybits on Twitter after my first exposure to them, and was lucky to notice a tweet about a trial of the product. I received a tin of ENERGYbits in the mail a few weeks ago, but couldn't try them out until I recovered from my week of sick. On Sunday I made sure to get up 5 minutes earlier for my long run to give the ENERGYbits time to work. I also ate my usual date and sips of coconut and regular water. I love the idea of this product and urge any athletes (regardless of vegan status) to check them out. They are easy to use, easy to transport, low calorie and filled with goodness!